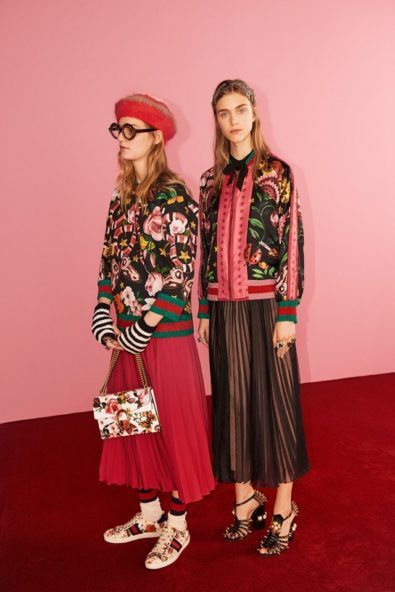 The Italian fashion brand launches the online exclusive special Gucci Garden capsule collection of women’s ready-to-wear and accessories. 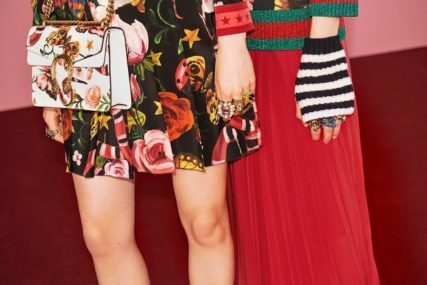 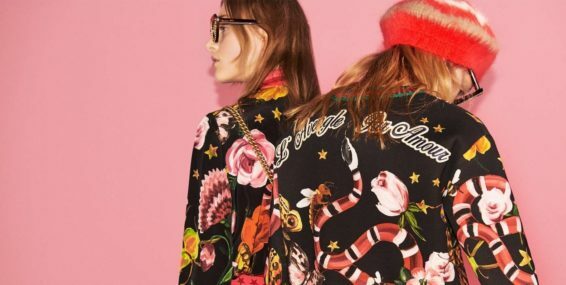 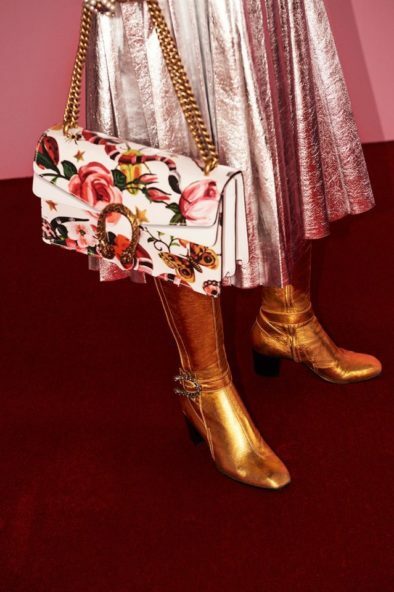 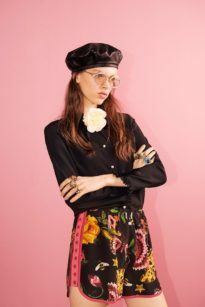 This collection features a new print by Creative Director Alessandro Michele, featuring a mix of florals, including carnations and roses, 4 different types of butterflies, birds, beetles, along with his new house icons, the snake which symbolises wisdom and power, and the bee, which has its ties to European aristocracy. 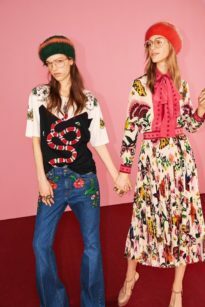 “I have a deep interest toward nature, a passion which I guess can be seen through my collections, I have a sort of an animist soul,” said Alessandro Michele. 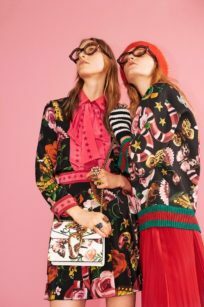 Made to look like an antique oil painting with visible brushstrokes, this Gucci Garden print is set against either a white or ivory background. 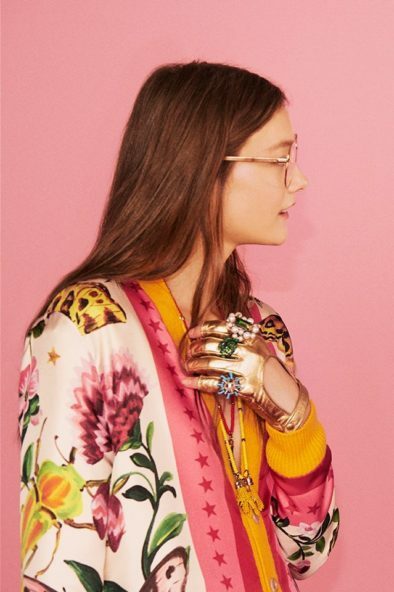 The key motifs of the collection sees the signature king snake and bumblebee adorned in brushstrokes of diverse blooms. 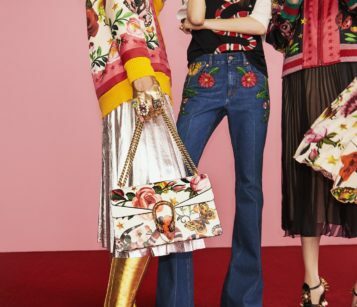 Fan favourites such as the pleated skirt, reversible bomber jacket, Dionysus bag, slip-on mules, and patched denim flares are emblazoned with the new patterns for a quirky makeover any Gucci girl would covet.